GFA World (Formerly: Gospel for Asia) is a ministry founded on, committed to and sustained by the power of prayer. The emphasis on prayer began more than 30 years ago when a small, faithful group of believers began meeting each Tuesday night in K.P. and Gisela Yohannan's living room. The Tuesday night prayer tradition continues with GFA staff and families around the world gathering for prayer each Tuesday night. We also meet one Friday night a month for an extended night of prayer. Join with us as we lift up in prayer the people of Asia and their needs. 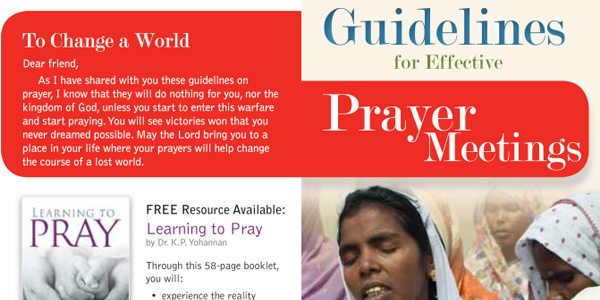 Receive prayer requests for Asia with a special focus each month. You can have a part in ministering to those in need—through our most powerful tool: prayer. Having a Prayer Meeting of Your own? "Dear friend, as I share with you these guidelines on prayer, I know that they will do nothing for you, nor the kingdom of God, unless you start to enter warfare and start praying. You will see victories won that you never even dreamed were possible. May the Lord bring you to a place in your life where your prayers will help change the course of a lost world." Be hindered no longer as K.P. 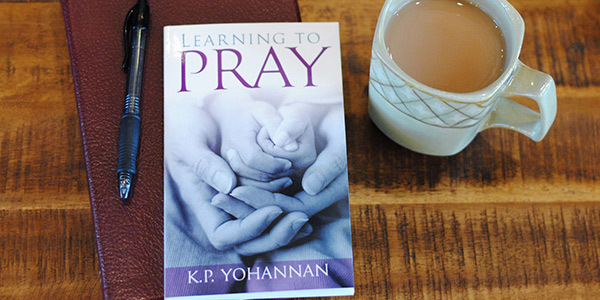 Yohannan shares how you can grow in your daily prayer life.